Writtten by ICF executive member, Revd. 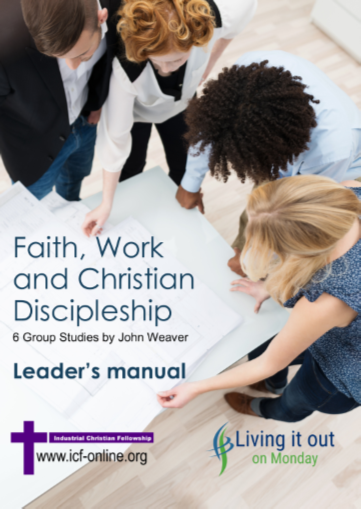 Dr. John Weaver, this new publication launches the ICF - Living it out on Monday series and offers 6 study outlines to help participants explore how their vocation as Christian disciples impacts and is impacted by their daily work. You can download the Leader's guide here and purchase participants handbooks from ICF.